As I start my garden for the season, I am planning to grow a ton of tomatoes and basil. I look forward to that perfect day in the summer when I can pick a few newly ripened tomatoes and a handful of fresh basil and make a nice Caprese salad. Of course the Caprese salad requires some mozzarella and olive oil as well. I generally have a nice selection of olive oils on hand but often I don’t have any fresh mozzarella. That is why I plan on making my own mozzarella this year, which is going to be really easy with the Mozzarella Cheese Kit from Roaring Brook Dairy. Making my own mozzarella is going make my Caprese as fresh as possible. Now I just need to figure out how to grow olive trees in the frozen tundra of New Hampshire. 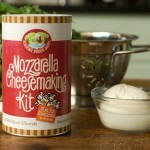 See all the “make you own” products of Roaring Brook Dairy here. 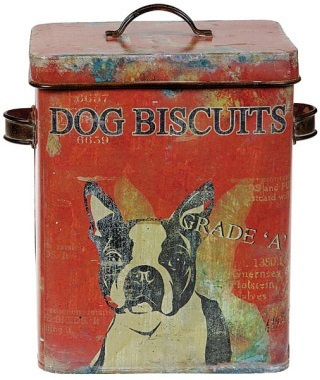 I love rummaging through those housewares aisles at the back of store like Marshall’s and TJ Maxx. 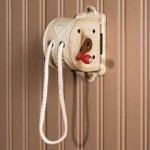 You know the section – where there are odds and ends from towel and bathroom items to frog statues and garden gnomes. There is usually a small section of stationery, often featuring the coolest little gems you usually only see at specialty stores. 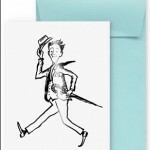 That is precisely where I came across a wonderful notecard set featuring some great drawings of vintage typewriters, bicycles and telephones. It turns out the cards were produced by design studio Mara-Mi. A little research on the internets (thank you Al Gore) and I discovered Mara-Mi has a full line of great cards and stationery products. See all the great designs of Mara-Mi here. While on our recent trip treasure hunting on Cape Cod, my lifelong friend Lynda and I stopped for lunch at the Scargo Café in Dennis, MA. Named after the local legend of an Indian princess named Scargo, the restaurant had a lovely atmosphere and was the perfect spot for a lunch break. I normally don’t blog about local eateries, but I mention this lunch for a very specific reason. The Scargo Café offers the most delicious appetizer I have ever had – their Edamame Hummus. Described as “chilled, homemade edamame vegetable spread served with julienne vegetables and tortilla chips” – I am here to report that this was one of the best menu items I have discovered in years. I have had other edamame hummuses before, but this version was particularly good and sent me on a search for a recipe to make some of my own at home. 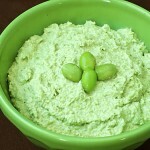 Our friends at Epicurious have a nice simple Edamame Hummus recipe made with tahini and lemon juice like the traditional chickpea hummuses. Meanwhile, I found a great recipe on Bon Apetit that calls for equal parts edamame and peas – yes peas – for their Edamame Hummus. But the one I chose to try first was from Martha Stewart. The reason? Well, it was the recipe that was most basic – calling for the fewest ingredients which allows for the edamame shine – and it was easy to make and was perfectly delicious. One major recommendation – edamame hummus is best made in advance and served as chilled as possible. Find Martha Stewart’s recipe for Edamame hummus here. Read the legend of Scargo and visit the Scargo Café of Dennis, MA here. 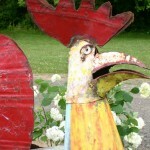 I don’t even know where to start with today’s Find, Farmhouse Wares – I love everything about them. I love the whole vibe of what the folks at Farmhouse Wares have put together. One visit to their website and you too will fall in love with their mix of goods that meet their goal of sharing products that help you live a “clean, simple, and comfortable” lifestyle. If all this was not enough for me to fall in love with Farmhouse Wares… they have a whole Flea Market section. Fall in love with Farmhouse Wares here. I love tea, as you know, and I am always looking for new and interesting varieties to add to my collection. 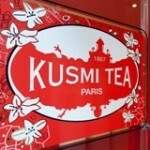 I think I have hit a homerun with the teas of Kusmi of Paris. See all the fine teas of Kusmi here. I am going to try House Spirit’s Westward Malt Whiskey. 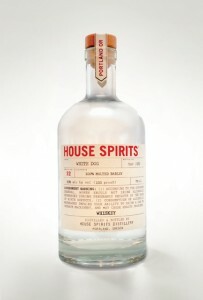 Read more about House Spirit Distillery here. 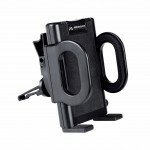 There are many third party providers for accessories for your iPhone of iPad (and similar but not as cool devices), but I have not found many that offer the quality or selection of Merkury Innovations. See the cool products of Merkury Innovations here. 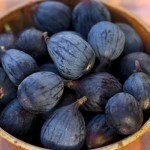 It is said that the Blue Chair Fruit Company “is the premier artisanal jam and marmalade company in the United States” and one taste of their products, like the Black Mission Fig Jam, will tell you why. See all the great products of the Blue Chair Fruit Company here. The other day I was out in the yard picking up some tree limbs that had fallen down over the winter when something out of the corner of my eye caught my attention. I saw something scurry from the yard to under the barn. 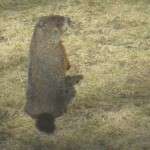 I knew in a minute it was my groundhog friend, Groundie, making his first appearance of the season. I rushed into the house to grab my camera and take up a hiding position hoping he would come out again and allow me to take a picture. Sure enough, my patience was rewarded as Groundie snuck back out from his hiding place and then stopped and posed for me. I was happy to see the little guy, even though he notoriously munched on all my seedlings a couple of years ago. He must have known I started my seeds inside this week and was hoping I was going to let him in for an early buffet. 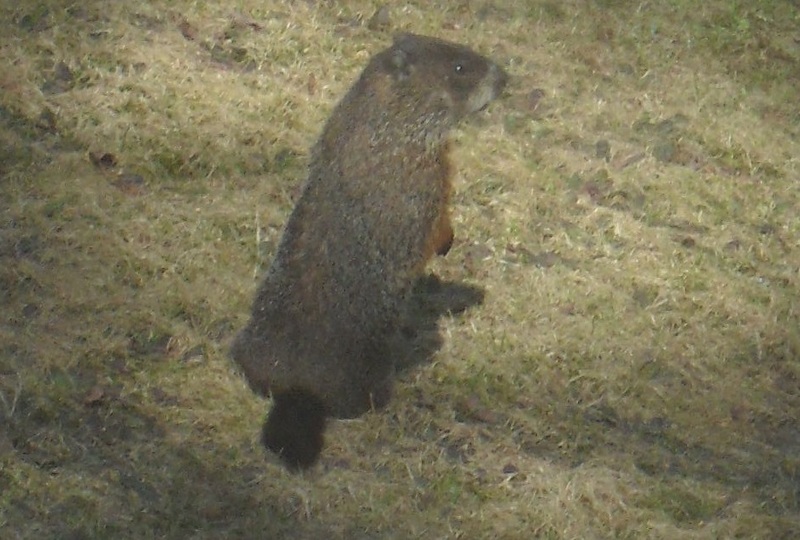 Anyway, I took the reappearance of Groundie as a sure sign of spring, even though he clearly saw his shadow. Meanwhile, it was announced last week that “Ice Out” was declared on nearby Lake Winnipesaukee, New Hampshire’s largest lake. Ice Out means that the lake is officially free of ice and open for navigation. Guessing the precise date and time of the official Ice Out on the lake is a big hot stove game up this way and has been a tradition for a long time. The mid-April Ice Out this year is pretty much average. Last year it was very early, like mid-March and there have been years that the lake had ice well into May. I mention the Ice Out on the lake as another sure sign that spring will eventually make its way to the rest of the north country of New Hampshire. I still have a nice patch of snow that marks my measure for the season. The patch is usually the last to melt each year. It is in a north-facing corner in the back of the house where much of the snow from the roofs of the house and barn converges as it falls off. 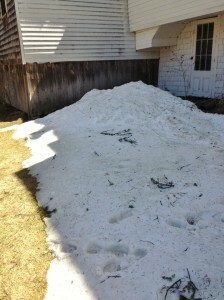 At the height of the snow season – this snow pile can reach the second story of the house even as the snow is tight compacted as it crashed from the roof. The snow pack, as photographed the other day (above right), is much smaller than it was a few days ago, but it will be around for a while. I am now taking guesses on when “Snow Out” will come to the old homestead. Right now, I am thinking May 10th. A few years ago I had the great opportunity to visit Stockholm on a business trip. Although it was the beginning of winter and the daylight hours were unbelievably few, I had a great time exploring the city. I also had the great fortune of being hosted by locals who made sure I got a “taste” of Sweden, which as I recall was a lot of fish (sadly not the candy kind and often uncooked), beets (like beet salad and beet-flavored dishes like beet gnocchi), and reindeer tartar (don’t ask). I am game for anything so I was a good sport and tried it all but it was not a good mix for my palate. I confided this to one of my Swedish colleagues on the last day of my visit and asked where all the “Swedish meatballs” were. That evening I was treated to one of the best meals I ever had a great restaurant that, um, caters to a special kind of traveler. So much for “when in Sweden…” Hey I love IKEA. Anyway, this all brings me to today’s read, Faviken by Swedish chef by Magnus Nilsson. All Muppet jokes aside, Chef Nilsson has produced a book that celebrates the local flavors of Sweden and presents some great dishes that makes me want to go back to Stockholm and forget the meatballs. Chef Nilsson’s book, which includes a great narrative about Swedish country cuisine and wonderful photographs, is something I wish I read before the trip I spoke about above. I could have shown up in Stockholm with a better knowledge of what was local instead of being “that guy” looking for Swedish Fish, Swedish Meatballs and asking for directions to the nearest H&M. 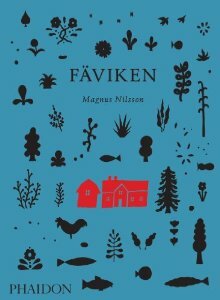 Faviken by Magnus Nilsson is available from Amazon and other fine booksellers. Today’s Find, Mark and Graham, comes highly recommended from my friend Lynda. Mark and Graham, part of the retail family that includes Pottery Barn, West Elm and Williams-Sonoma, is a shop dedicated to high-quality personalized products. 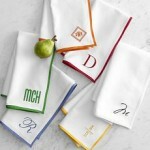 Just about anything you can think of that is ripe for personalization, Mark and Graham offers, like a great line of monogramed linens and jewelry. The Mark and Graham site is very well designed and offers many ways to search for just the right product. You can search by category, by holiday, or by what would make the perfect gift. The latter being really great as most of the products Mark and Graham offers just scream gift! Next time I am stumped for just the right thing to send someone as a gift, I am going to start here. 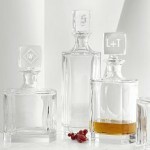 Lynda, who has made purchases from Mark and Graham in the past, reports that their items arrive in spectacular packaging and make a great impression. See all of the “next-generation personalization” options of Mark and Graham here. First off, you have to love a company’s whose marketing tagline is: “Tasty Salted Pig Parts”. Yep, that is what the find folks at San Francisco Bay Area’s Boccalone say about their fine selection of salumi, salami and other fine products. It has been a while since I talked about my love for cured meats, so I am particularly pleased to write about Boccalone today. 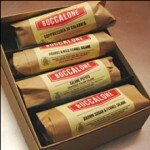 See all the Tasty Salted Pig Parts of Boccalone here. It’s flea market season – FINALLY! It is finally flea market season in the Northeast. That time of year when the snow is gone the days are longer and vendors emerge with a winter’s worth of stuff they collected to share with all of us people who are dying to spend our money on things we don’t need. We here at Lost Cowboy love flea markets and can’t wait to get back to our old standbys. But this season we are making an effort to visit a few markets we have never been to before. Flea markets we would like to try include: Elephant’s Trunk Country Flea Market in New Milford, CT; and Brooklyn Flea in Brooklyn, NY. We’ve heard a lot about Elephant’s Trunk Country Flea Market in New Milford, Connecticut over the years and have yet to make it there. But this is the season. 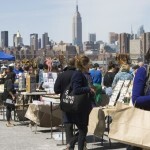 Elephant’s Trunk Country Flea Market is open on Sundays from March to November, weather permitting. See more about Elephant’s Trunk Country Flea Market and find directions here. On our next trip to NY we are going to take a side trip over to Brooklyn to check out Brooklyn Flea – to mix with the hipsters of course. See more about Brooklyn Flea and find directions here. Lost Cowboy is powered by	WordPress 5.0.4 and delivered to you in 1.346 seconds using 58 queries.